Skype has added the Angry Birds Movie characters to its chat emojis. Fans can now send animated emojis and emoticons of the Angry Birds Movie characters named Red, Stella, Bomb and many others via Skype chat. The movie-themed birds emojis and emoticons are only available for users with the latest Skype App installed on Mac, Windows, iOS, Android and Skype for Web. It can be found by going to the new Angry Birds category in the trending tab of the emoticon picker. If you are confused why those birds are confused, the animated emojis might give you some clues of why they are so angry. The emoticons and emojis are pretty cool to express feelings with family and friends. They can surely put a smile on the person whom you chat with. Therefore, give the new Angry Birds emojis a try. This isn’t the end of the birds on Skype. 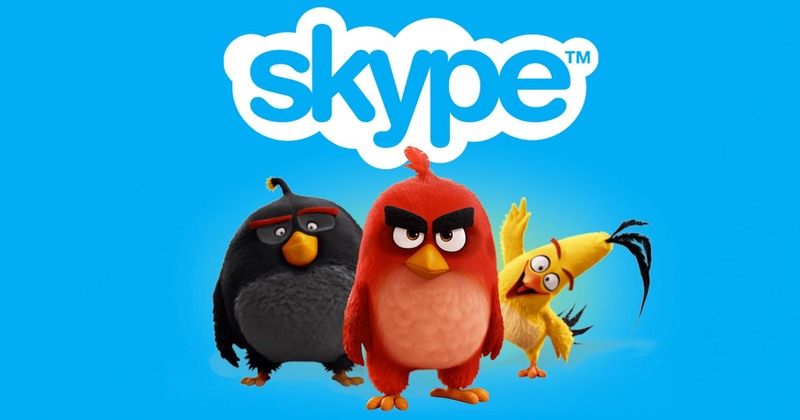 Skype has said to add more Angry Birds Movie surprises on skype in a few weeks time.